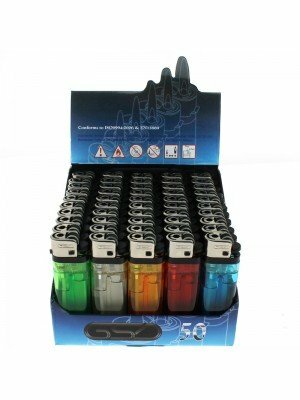 Disposable lighters are cheap and can be thrown away after use. They also come with a counter display so they are ready to be sold. They also have adjustable flame and child safety feature. They come in different colours and design.